The main issue when shopping online is trust. Even if we are used to buying all kind of products online, some of us may still have a doubt when purchasing an item from a new store they have never bought from before. Still, the need for the product or the urge to just own it may sometimes be stronger than caution and people risk and buy the product, hoping they won’t be fooled. This does not happen all the time. I suggest helping your customers to take rational purchasing decisions from now on since there are certain elements they need to look at to ensure that everything is fine. There are some features that need to be respected in trustworthy e-commerce web design. Since the customers cannot feel, actually see or try the product before purchasing it, they need extra re-assurance that they will not be deceived. A “100% satisfaction guaranteed” professional-looking icon will help your customer trust you more. The possibility of creating a refined search option should be an easy task for any e-commerce website designer. When people can’t find exactly what they are looking for, they feel annoyed and this sense of deceit becomes fast a sense of distrust. A functional website will always make a good impression and attract users. We are naturally attracted to buy products that other people have tried too, and who are reported to be of high-quality. This is the role of the review in online shops, to make the product more palpable. When users read other customer’s positive opinions, they already imagine themselves using that product and the buying decision is one step away. Reviews are a double-edged sword, though; if the product does not comply with the customer’s expectations, it may get negative reviews and less people will buy it again. Since customers don’t have the opportunity of trying or touching the product, they need plentiful information on it in order to feel that the decision of buying it is correct. Make sure that the product description is easy to read, detailed and concise at the same time and error-free. Another thing you need to ask to your ecommerce web design company is creating a clear check-out process. This refers to the final steps of the purchase, when you need to introduce taxes and shipping costs and refer to payment options. Customers need to know at all time in what stage they are, to know what products they have in their cart, to be able to give up a product and continue if they want so, to re-check some information and so on. Each time something uncomfortable occurs, you risk your customer changing his mind and giving up the purchase. Even if the customer knows he/she will pay more than the price specified on the product description, if you are not honest about it and reveal the additional costs from the beginning, the customer will feel tricked. A tax estimator will easily solve the matter. These are the main elements of e commerce that eCommerce website development needs to take into account in order to give clients a feeling of trust and convince them to finalize the purchase. 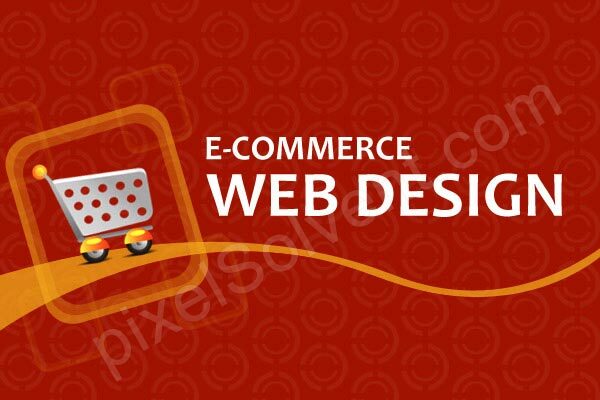 Moreover, any talented e-commerce web designer can discover other elements that contribute to a professional shopping website, too.